The Fall seasonal color palette of russets, crimsons and golds await us now, as Autumn looms, the season makes itself known through stunning displays of fiery colors across the US. If you want to see Nature’s show 1st hand, below are 8 destinations in the Us where you can see leaves change color this Fall. The collection of trees in the New York Botanical Garden in the Bronx outclasses those of Central Park. Both are at their best in October and November when the leaves are on the turn. The New York Botanical Garden is free all day Wednesday for those who are not residents. There is a Fall foliage tracker on their website which helps you time your visit to see the color at its highs. Visit the Thain Family Forest, bisected by the Bronx River, the largest uncut acreage of New York’s original woodland, and stand on the Hester Bridge for the biggest impact. 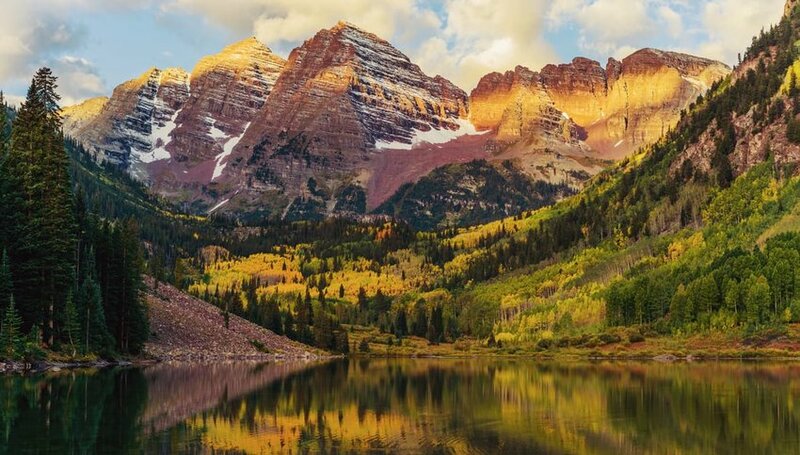 The Aspen trees give this famous resort town its name turn to pure gold in the Fall. A mix of hiking trails suits visitors of all abilities and fitness levels: try the Woody Creek, Castle Creek Valley and Snowmass trails. Casual mountain bikers will appreciate the gently sloping Rio Grande Trail, while those more serious can try the ride up Independence Pass. A scenic drive along Maroon Creek Road is perfect for comfort seeking leaf-peepers. Those seeking an adrenaline rush while they view can kayak the Roaring Fork and Colorado River or team up with the local paragliding operator to fly high above the trees. Leaf season extends to several weeks in the Great Smoky Mountains as the varying elevations greatly influence the autumnal color change. Higher up, you will see the leaves turn in mid-September, with yellow birch, American beech and mountain maple putting on a show. 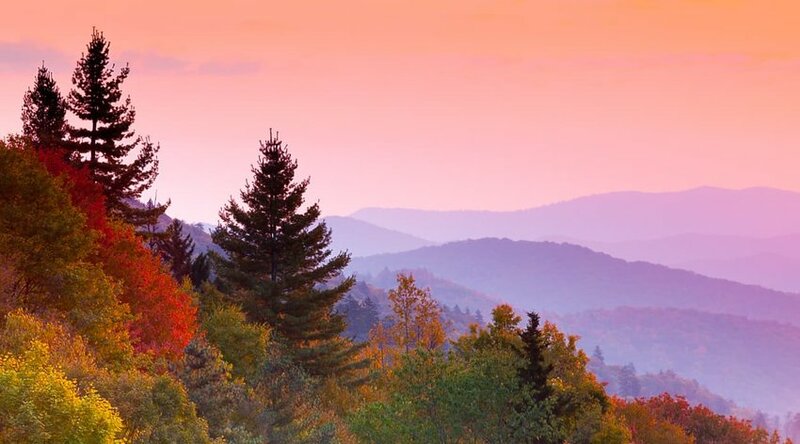 The displays visible from the Clingmans Dome Road and Blue Ridge Parkway are often delayed until October, at this time see sugar maple, scarlet oak, sweet gum and red maple in all their glory. Stunning panoramic vistas can only be improved by shades of orange and red. At least this is true in the Ozark Mountains. You can rent a secluded cabin and hike to waterfalls fringed by these stunning leaves for a true wilderness escape. If you feel like an adventure, hop on a mountain bike and petal through the curving, tree-lined roads. 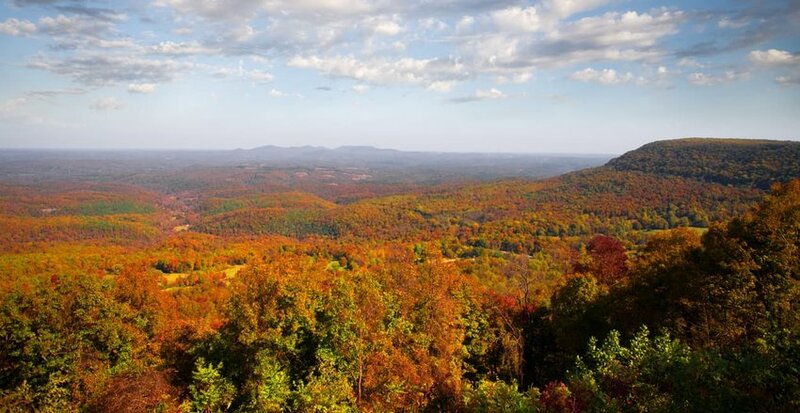 The largest National Scenic Area in America is a firm favorite during the Autumn. The many waterfalls and dramatic gorge views make the Columbia River Gorge a delight at any time of year. 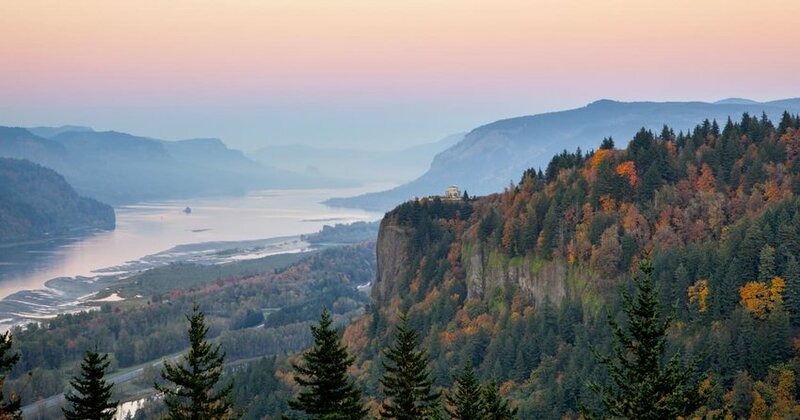 Scenic highlights include the view from Crown Point and the pretty Multnomah, Bridal Veil and Latourell Falls. Combine it with the Mount Hood Scenic Byway for 146 miles of superb landscapes brimming with Fall colors. 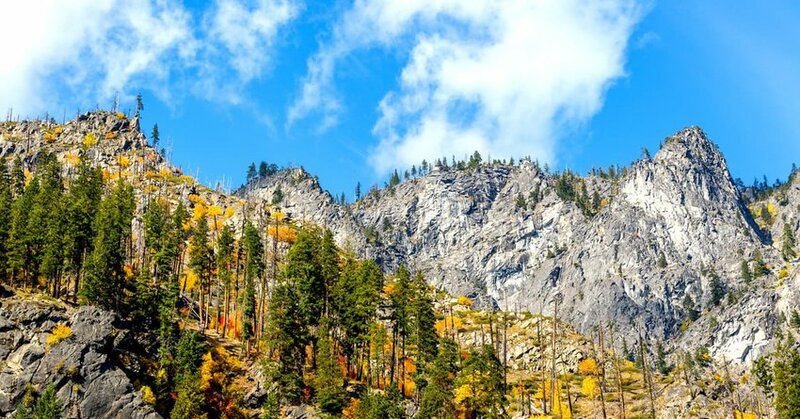 Best in late September through to October, Leavenworth’s fall colors are even brighter after a long Summer. Visit Lake Wenatchee in the Cascade Mountains between Stevens Pass and downtown Leavenworth. Its long waterfront offers plenty of space to find a spot for yourself and photograph the reflections of the trees in the water. Turnwater Canyon is another recommended location; the steep sides of the canyon frame the view to spectacular effect. The annual Autumn Leaf Festival and Parade is scheduled for the weekend of 29-30 September this year. 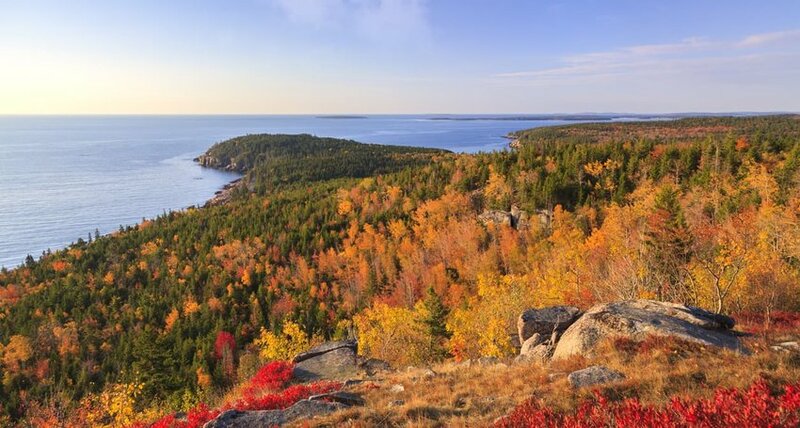 Though much of Acadia’s forest is evergreen, there are sufficient deciduous trees to ensure that this compact national park is worth an autumn visit. Bold reds and striking oranges make for a photogenic sight. Time your trip for midweek in September or October to avoid the worst of the traffic and maximize your chances of seeing a beautiful show from the trees. Check out some of the many hiking trails: the ones that follow the coastline will yield stunning views of both orange trees and blue ocean. 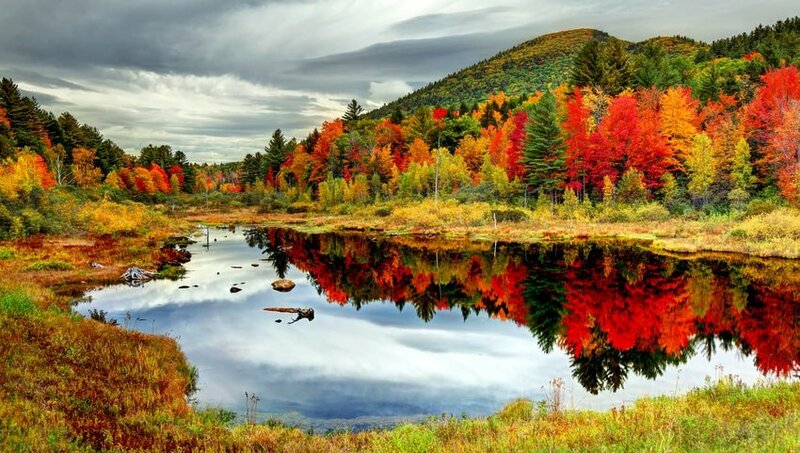 The colors on display in the White Mountain National Forest are hard to beat. Drive the Kancamagus Highway or Rte 112 known locally as “the Kank”. Its 34 miles provide a breathtaking spectacle and you’ will want to savor every mile, do not rush. Plan a lunch picnic at Sabbaday Falls, between Lincoln and Conway, where water cascades over rock strata into the almost circular pool beneath.